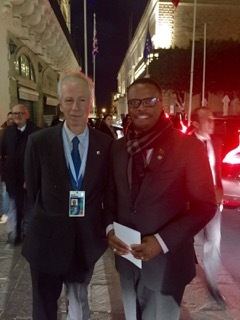 Consistent with the new Government’s commitment to substantially deepen St. Kitts and Nevis’ international diplomatic footprint and strengthen bilateral relations, Minister of Foreign Affairs, the Honourable Mark Brantley has been engaged with several African countries whose Leaders and Foreign Ministers participated at the 24th Commonwealth Heads of Government Meeting in the Mediterranean island of Malta. 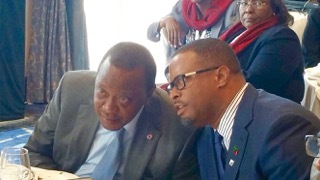 Some of the African country representatives with whom the Honourable Minister had discussions included the President of Kenya, the Prime Minister of Cameroon, and the Foreign Ministers of Rwanda, South Africa, Sierra Leone, Mozambique, Swaziland, Botswana, Ghana and Namibia. 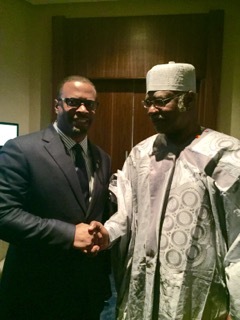 During his meeting with South Africa, Minister Brantley stressed that “the existence of shared values, a common heritage and various challenges link our nations and people. Therefore, we should and want to do more to build enduring bridges of friendship and partnership between our countries and peoples”. The Foreign Ministers also discussed the possibilities for greater collaboration within the United Nations system, cultural and education exchanges to ensure our peoples are sensitive to each other’s concerns and can be more effective in promoting the agenda of small and vulnerable states. 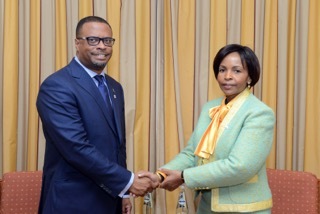 Foreign Minister Brantley emphasised with each of the leaders he encountered the need for deepening relations with St. Kitts and Nevis and expressed the keen desire to open up the people to people contact between countries by negotiating reciprocal visa waiver arrangements, investment, training opportunities and cultural exchanges. 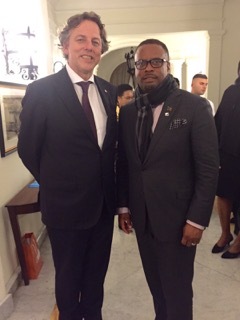 Minister Brantley also seized the opportunity to interact with the new Foreign Minister of Canada Stéphane Dion and was invited to dine with the Foreign Minister of the Netherlands Bert Koenders, where issues of climate change, adaptation and funding dominated the discussions. The Minister was also privileged to meet and discuss matters of mutual interest with the Foreign Ministers of Mauritius and Maldives as well as a host of other leading diplomats from throughout the Commonwealth.